Artist's Pick is the theme for the current exhibition at the Foyer Gallery which just got underway today. It is a group show featuring art and photography pieces by most or all of the 24 artists of the Foyer Gallery. Each member presents two pieces of work in this show. The poster shows one of my images called Crocosmia 'Lucifer', which is the name of the plant (third image across the top). This image was taken in Waterperry Gardens in the UK. In this show, both of my contributions are done as framed canvas prints. I'm really happy with the results. You should come by the gallery and see how well you might fill an empty space on your walls. View both of my images in the show. A selection of greeting cards and matted prints by several members is also available for purchase. 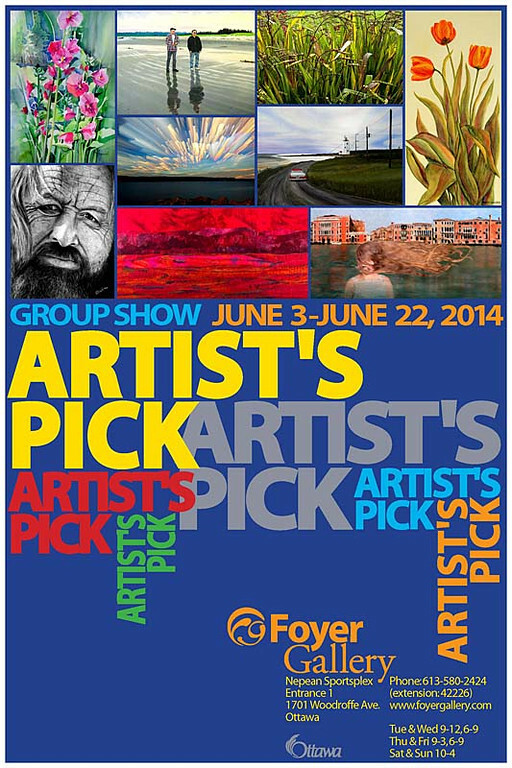 Artist's Pick runs from June 3 to June 22, 2014. Check the Foyer Gallery website for full details of hours and location.